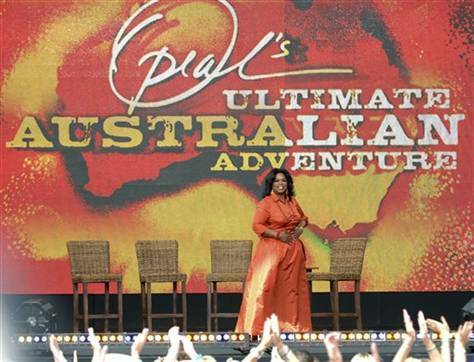 Anyone that saw the week long coverage of the Australia trip that Oprah took with over 300 of her loyal viewers down to Australia cannot helped but be impressed by the sure epic proportions of the different events that happened while she was there. Australia welcomed Ms. O with open arms and what we got, as a TV audience, was a front row seat experience to Australia’s most beautiful scenic wonders and its people. Only Oprah could take you from the heart of the great barrier reef to crashing a family party to get a very good intimate insight to Australians, their life and viewpoints. Only Oprah can break a world record by taking over 300 people up to the top of the Sydney Bridge for a group photo. Australia even put a big lighted “O” on the bridge just for her. Only Oprah could get Nicole Kidman, Keith Urban, Bono, Olivia Newton John, Hugh Jackman, and Russell Crowe on one stage singing a group song. There were the signature give-a-ways. There were the emotional and heartrending stories. There were engagements on the air. It was Oprah but everything was on a grand scale. The big firecracker show was an an understatement of the week. However, something that I noticed that was more powerful than all the hoopla was the human connection that seem to occur everywhere. Oprah’s real power has been her ability to relate over the TV waves and in person to people on a one to one basis. I really believed that every person felt she was their friend. This kind of positive force was frankly amazing and refreshing to see. I have seen a lot of criticisms levied against Ms. O in the media at times mostly because of her wealth. However, Oprah has always been extremely honest about her life, her weaknesses and even her failures. Her show has been her own platform to showcase her journey many times through the years. I think that is why many people, especially women, relate to her from all over the world. She was this poor black girl from Mississippi that literally worked herself up from impossible odds. You can still see in her parts of that every day woman despite where she is now as the most powerful woman in America. 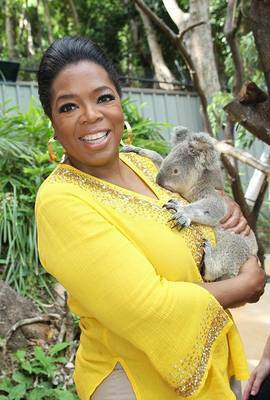 I must say Oprah got me with her Australia show. I want to pack my bags and head down under now.